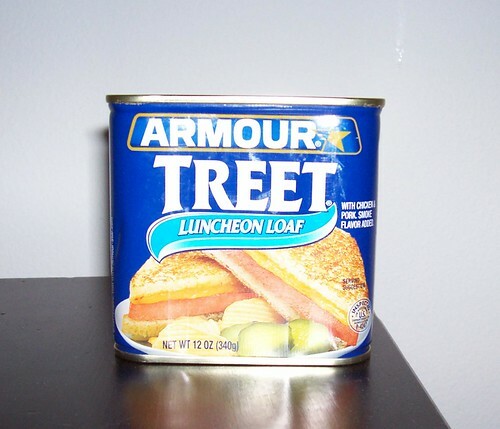 Thanks for giving me a little "taste" of Spam Jam. Due to scheduling conflicts this is the 3rd year i've missed it. Gigi is right - the local papers do tend to do a crummy job of covering events on the island. good morning, gigi- yes, it's on Kalakaua, but only from the International Market Place to Lewer's St. Yeah, for some reasons the local tv didn't cover it, either. good morning, Alan- these past few years, it's really became packed to the gills especially after 6pm. 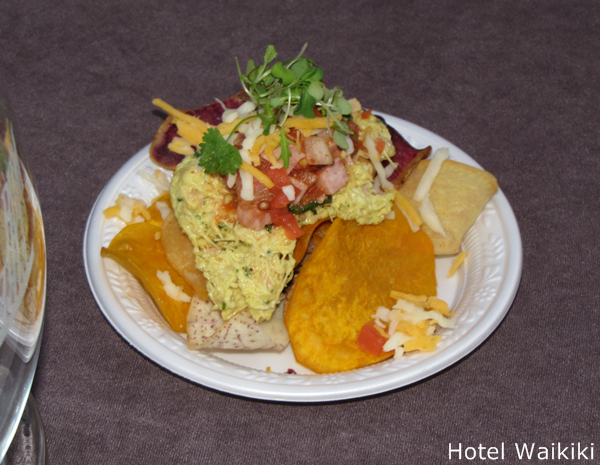 You've not really missed that much in the sense that most of the regular booths tend to repeat the same menus, the items that sell well, I surmise. Yay - you're back! We missed your blogging. 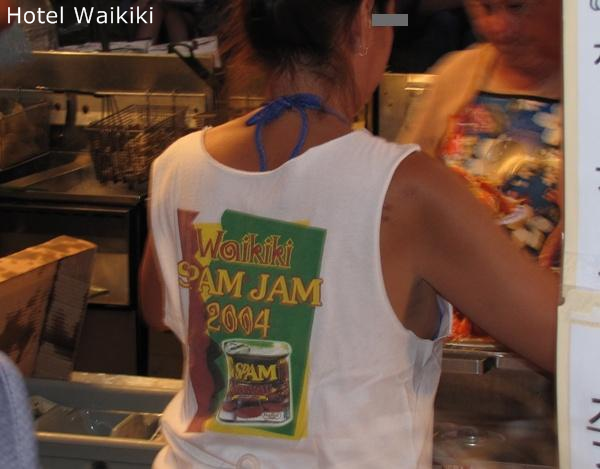 The Waikiki Spam Jam - Damn! 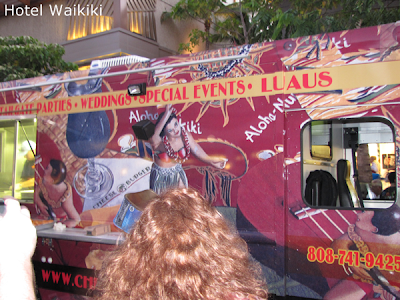 Only in Hawaii nei. Looked like fun - how much spam did you eat? Hi Ann- I was away having a brain transplant. Unfortunately, all for nought. I won't get into the details. Anyways, I asked for my old brain back, since I wasn't happy with the new one. The later simply did not perform at the level of the former. What's up Ron? I was wondering where you'd been. It's odd you should post this because last night I was in the grocery store with a serious craving for Spam (odd for me), but the Spam was on sale and all that was left was Garlic and Turkey spam. I wanted the original or the spicy one that I think comes with Tabasco. Howzit Brad- I received a previous comment from you that was in my "moderation folder," which I hit the approve button, and it somehow disappeared. My personal favorite is ®SPAM with bacon. 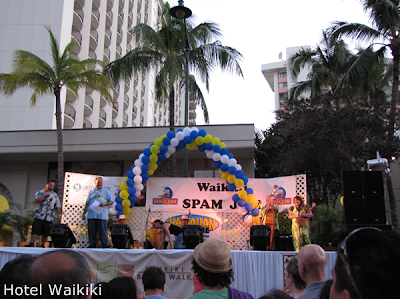 Hawaii eats more ®SPAM per capita than any state in the Union. Whether that's good or bad may be debatable. Thom- they actually had a Spam Jam Photo Booth that I wasn't aware of. 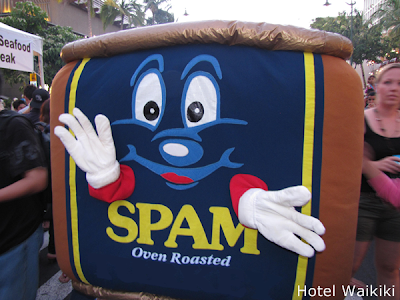 I wouldn't mind a spam jam, but my digestive system says otherwise. Hi, Hattie- Let there be Spam. 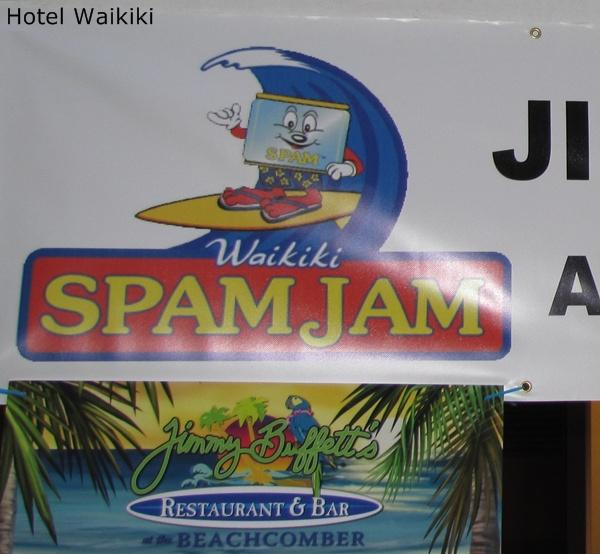 All kidding aside, the Spam Jam is a benefit for the food bank. What the? Comment moderation now? You couldn't just be happy with word verification? I had to wait nearly 2 weeks before I got to finally see this, and it was well worth the suspense. Stupid local tv not covering this. Had I been there....no wait, there's you so no need. Rowena- "Comments Moderation" was not my idea. Blogger approves some, others get sent to the moderation holding cell. Blogger doesn't even notify me that I have comments to be approved. ???? Rowena- might have found the problem....I had enabled "moderation on posts older than 14-days," or left it enabled. However, frequently Brad's comments gets held up even if he does posts before the deadline.